Recently I bought a set of 5 IOS books from Objct.io include Core Data book And now I want to transfer it to you for $ 30, payment via Paypal. All books are the latest version that supports swift 4 and IOS 11, have PDF, EPUB file and full source code. Core Data is Apple’s object graph management and persistency framework for iOS, macOS, watchOS, and tvOS. If your app needs to persist structured data, Core Data is the obvious solution to look into: it’s already there, it’s actively maintained by Apple, and it has been around for more than 10 years. It’s a mature, battle-tested code base. Nevertheless, Core Data can also be somewhat confusing at first; it’s flexible, but it’s not obvious how to best use its API. That said, the goal of this book is to help you get off to a flying start. We want to provide you with a set of best practices — ranging from simple to advanced use cases — so that you can take advantage of Core Data’s capabilities without getting lost in unnecessary complexities. For example, Core Data is often blamed for being difficult to use in a multithreaded environment. But Core Data has a very clear and consistent concurrency model. Used correctly, it helps you avoid many of the pitfalls inherent to concurrent programming. The remaining complexities aren’t specific to Core Data but rather to concurrency itself. We go into those issues in the chapter about problems that can occur with multiple contexts, and in another chapter, we show a practical example of a background syncing solution. Similarly, Core Data often has the reputation of being slow. If you try to use it like a relational database, you’ll find that it has a high performance overhead compared to, for example, using SQLite directly. 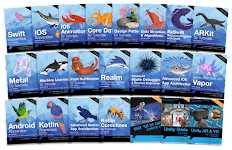 However, when using Core Data correctly – treating it as an object graph management system – there are actually quite a few places where it ends up being faster due to its built-in caches and object management. Furthermore, the higher-level API lets you focus on optimizing the performance-critical parts of your application instead of reimplementing persistency from scratch. Throughout this book, we’ll also describe best practices to keep Core Data performant. We’ll take a look at how to approach performance issues in the dedicated chapter about performance, as well as in the profiling chapter. This book shows how to use Core Data with working examples — it’s not an extended API manual. We deliberately focus on best practices within the context of complete examples. We do so because, in our experience, stringing all the parts of Core Data together correctly is where most challenges occur. 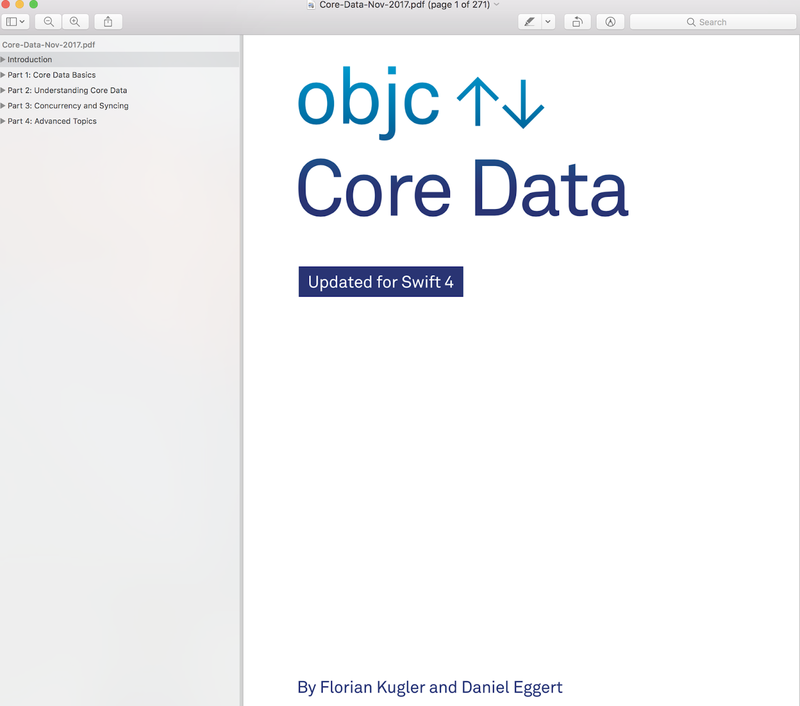 In addition, this book provides an in-depth explanation of Core Data’s inner workings. Understanding this flexible framework helps you make the right decisions and, at the same time, keep your code simple and approachable. This is particularly true when it comes to concurrency and performance. You can get the complete source code for an example app on GitHub. We’re using this app in many parts of the book to show problems and solutions in the context of a larger project. We’ve included the sample project in several stages so that the code on GitHub matches up with the code snippets in the book as best as possible.